Providing visitor information, business directories, and more! 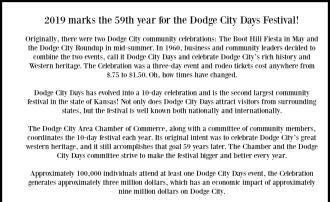 2019 marks the 59th year for the Dodge City Days Festival! Join us!